What’s It About? 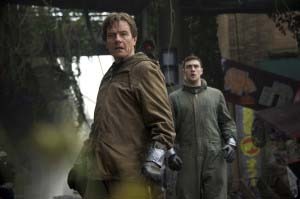 Sixty years after the original Godzilla movie comes Gareth Edwards‘ attempt to bring the kaiju back to the big screen and erase all memories of the Matthew Broderick 1998 outing. The film begins in 1999 as married couple Joe and Sandra Brody (Bryan Cranston and Juliet Binoche) work as scientists at a Japanese power plant when an accident occurs. Cut forward 15 years, and Joe is still obsessing over that day, convinced whatever caused the accident is about to happen again. 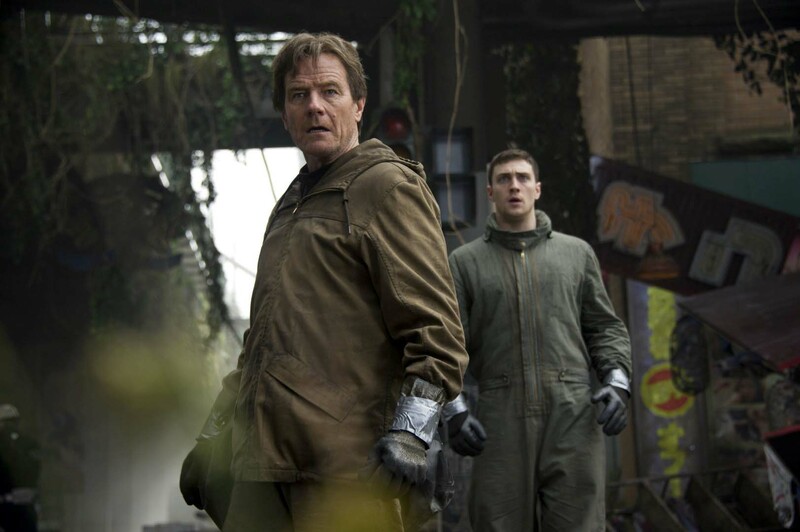 He tries to convince his son Ford, now a soldier in the form of Aaron Taylor-Johnson, that he’s not paranoid and crazy, when a chain of events kicks off leading to the return of Godzilla. Verdict: It was quite a gamble for Warner Bros/Legendary to give Edwards the reins on Godzilla in what is his sophomore effort, but it’s a gamble that has undoubtedly paid off. With a production budget of $150+ million, this is a world away from his first film, Monsters, for which he did the visual effects work himself in his bedroom. Edwards understands the power of fear and imagination, so doesn’t show any monsters for large portions of the film, and then often shows only parts of them instead of the whole, as if they can’t even fit into the screen they are so vast. All of this would be futile if, when he finally shows Godzilla, it’s a let down. Thankfully it isn’t. He looks real, and that’s not something that can honestly be said about previous incarnations of the monster. Edwards had help on creating a monster with a soul from the expert of non-humans-with-souls, Andy Serkis (in a consultancy role rather than playing the monster himself). The first time we properly see Godzilla on screen is truly reminiscent of when we first see a dinosaur in Jurassic Park, such is the sense of excitement is creates. The destruction caused is jaw-dropping; I can’t recall seeing so much realistic looking damage in a film. People and cars are trodden on, massive skyscrapers are tail-whipped and knocked over as if they were Jenga sets, and trains, boats and submarines are picked up as if they are a child playing with toys. Even with CGI-heavy action scenes, it never descends into the trap other blockbusters fall down of it becoming unclear just who’s fighting who and fights going on too long. These are phenomenal visual effects, clearly the hard work of many people who have the same spirit as Edwards had in his bedroom. The entire final third of this movie is truly spectacular, notably the paratroopers’ jump into the smoky city below. It deserves to be seen on the biggest screen possible, and with the best sound system. You’ll come out of the film catching your breath; such is the tense, atmospheric and exciting ride Edwards’ film takes you on. Away from the monster, the cast performances are crucial in making it an emotional, human story. The film spends some time on this, largely through Ford trying to return to his wife (Elizabeth Olsen) and son, but this part of proceedings isn’t quite so convincing. Olsen is severely under-used, and relegated to being the wife-at-the-end-of-the-telephone for large periods, which is a shame, as she’s great when she’s on screen. The will to reunite the family isn’t quite as strong for a viewer as it should be, getting nowhere near the emotional standards achieved by something like The Impossible, though admittedly they didn’t have a huge monster to contend with. Bryan Cranston of course is great and he carries the film in the opening segment giving it both momentum and real deep, agonising emotion. When the film jumps forward in time, however, his character becomes more of a cliché paranoid scientist-type we’ve seen in many films before, and it’s at this time the film loses its momentum for a period. There are also supporting turns from Ken Watanabe (as the exposition-heavy monster expert Dr Ichiro Serizawa), Sally Hawkins (the forever questioning fellow scientist Vivienne Graham) and David Strathairn (a straight-forward general-type William Stenz) which don’t make the most of their actors. All three roles are cliché and follow the typical tropes of disaster movies, and, as with all of the human roles in the film, lacking a bit of personality. Taylor-Johnson himself is adequate. He has been perhaps unfairly criticised in some reviews of the films, but he’s believable as a young soldier, and has a couple of nice moments with his wife, son, and a small boy. He isn’t really given enough in the script for him to give a huge, memorable performance. Though there are a couple of lines of dialogue in the film (usually delivered by Watanabe’s character) that are hard to pull off without being firmly tongue in cheek, the film just about gets away with this. Edwards is clearly a fan of monster movies and has great respect for Godzilla as a character, and this is evident in the earnest and serious approach the film takes. Using nuclear bomb tests as a cover for previous Godzilla awakenings is a brilliant touch, grounding the film in the real world. Rolling news coverage throughout, and the sense that governments cover up what is really going on at first also bring the story right up-to-date. Final Words: A monster blockbuster with spectacular, breathtaking action, Godzilla has never felt so real, or so devastatingly destructive. Godzilla is out in cinemas and IMAX now.